So far markus has created 108 blog entries. are the new Menstrip group from Slovakia, bookable from 1 boy to 5 boys, for solo bachelor parties or birthday shows, as well as discotheques, weiberfastnacht, private parties, limousines, or depending on location Ladys Nights, Weiberfastnacht, Women’s Day or special events. 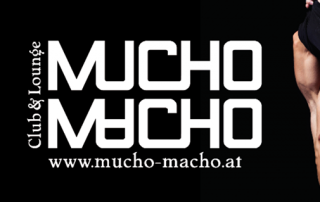 Oben this Saturday 19.03.2016 Mucho Macho in Vienna. What is Mucho Macho? The first Ladys Club only for women. What i can see there? Menstrip, Lapdance, Stripshows, Eroticshows, Acrobatic Acts, Cocktail Shows and hot entertainment.